Read in comfort and style with a pair for every room and a color for every mood. 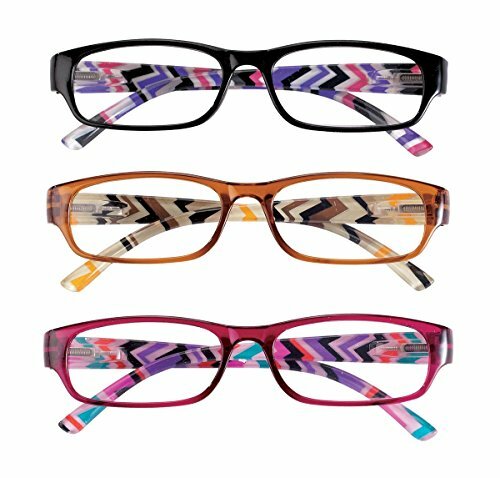 Set of 3 women's reading glasses includes one pair each of brown, black and pink in fun, fashionable patterns. FDA-registered readers feature spring hinges and are available in 8 magnifications, including hard-to-find +6.0x.